Are you looking for an NHS or cosmetic dentist in your local area? Brite Dental offers a wide range of NHS and cosmetic dentistry services to families across the West of Scotland. 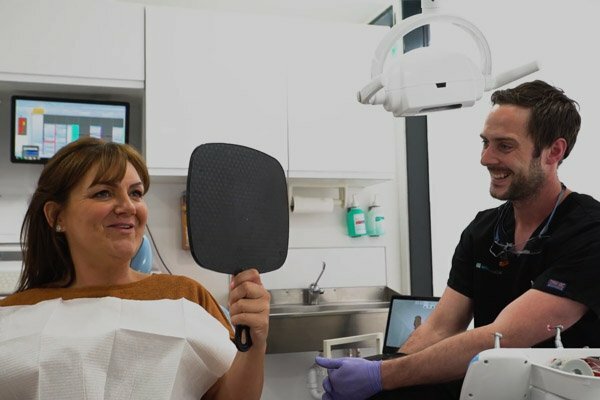 You can find almost any dental treatment you need from teeth whitening to teeth straightening and complete smile makeovers that can dramatically change your looks and boost your confidence. We have practices located in Bridge of Weir, Houston, Clarkston, Paisley and Gilmerton. All of the practices have been serving their local communities for over 20 years. Our Brite Dental clinics in Bridge of Weir and Houston are looked after by 11 helpful team members and led by Dr. Jonathan Reid. In our Clarkston practice we have a team of 7 caring and friendly staff members led by Dr. Brian Cullen and in our Paisley practice our team of 19 dental professionals are led by Dr. Jamie Bisset. Our Gilmerton practice is led by Dr Fraser Callaghan with the help of a caring professional team. We would like to invite you to join your local Brite Dental practice in Bridge or Weir, Houston, Clarkston, Paisley or Gilmerton. To register you and your family members please contact us by email or phone. We look forward to seeing you soon!